I was very blessed to have my sixth novel, Dearly Departed, picked up by Costco. I signed there regularly from the end of June to the end of August, and had a fantastic time. I’d like to share with you some of the things I learned during those two months in hopes that they’ll be helpful to other authors who will also be given that opportunity. Keep in mind that these are things that worked for me, and as you go into the stores, you may find your own ways of attracting customers. There are many ways to skin a cat, as the saying goes—although I never have understood why anyone would want to skin a cat. There are a few things you can do at home before you ever go to the store that will help ensure your success. Eat a good meal with a lot of protein. Dress in nice, but comfortable, clothing. Wear supportive shoes. Yes, ladies, it’s tempting to wear your cute new high heels, but I really advise against it—your feet, ankles, knees, and hips will pay the price. I also found that I became very warm in the store, so after my first few visits, I started wearing my hair up in a clip rather than down. That helped me not overheat. You know what your body needs—honor it and prepare to take care of it. A cute tablecloth. Costco does provide one, but sometimes they are dusty or a little bedraggled, and if you bring your own, you can be sure that it’s in good condition and goes well with your book. A table decoration of some kind. I was given a cute statue of a bookworm, and I sat him on my table at every signing. Not only did he give a little more visual interest to the table, but the little kids just loved him and would often stop to pat his head, which made their parents pause for a moment, which gave me the opportunity to speak with them. A handout. This may be one of the most important things you can bring. I’ll discuss this in more detail below. Try to arrive fifteen minutes early. When you let the manager know you’re there, they will ask an employee to help you set up, and that usually takes a few minutes. You want to start your signing on time to fit in as many actual sales opportunities as possible, so by showing up a little early and getting set up, you can begin when you’re supposed to. Put plenty of books on your table. It sometimes feels easiest just to grab one small stack from the table, but you want your table to look abundant. This also gives you, and your customers, a subliminal message: “I expect to sell a lot of books today.” That will create an atmosphere that is very conducive to sales. Have everything you need out on the table. Signing pen, bookmarks, newsletter sign-up sheet—have it all accessible so that when you need it, you don’t have to stop and dig for it. Now that you’re all set up and ready to go, it’s time to have some fun! Personal interaction is the best way to bring people over to your table. Some authors have already created such a name for themselves that they can sit quietly behind their table and they will get mobbed by scores of rabid fans. Other authors, though, are still working on building up their name recognition, and they do that by interacting with the public. Stand, rather than sit. When you stand, you are many times over more likely to attract attention. Smile and say hello to everyone who passes. And … here’s where handouts come into play. Think of something you can bring with you to give people as they go past. I did bookmarks at first, and handed out hundreds per signing. But that wasn’t the best use of marketing money. Even though I did get a number of sales, the bookmarks were around six cents each, and if I handed out two hundred at a signing, it was adding up to $12.00 per signing for bookmarks. I was also afraid that the customers would just toss the bookmark at their earliest opportunity, and that would be a waste. So I came up with an idea that was unique to my books. I made up a black-and-white flyer on a half sheet of paper that showed the cover of my book and a catchy blurb, and then at the bottom was a recipe. This tied in with my book because at the end of the Secret Sisters Mysteries series, we’re releasing a cookbook that will feature the foods mentioned in all the books. Then, as people went past, I would say, “Hi! Would you like a free recipe?” If they said yes, I would hand it to them and say, “There’s also some information on there about my new novel.” In this way, I got my information into their hands, called their attention to the fact that there was more on the sheet than just a recipe, and opened up the door for a conversation. Coming in at two for a penny, the fliers were more cost effective, and because people love to keep recipes, I decreased the likelihood that it would just be thrown away. Customers in Costco are very busy. I know that when I shop in there, I put myself in battle mode. I have a list, I know where I’m going, and I walk fast. My mom has often complained that she doesn’t like to go there with me because I walk so fast, she can’t keep up. That’s just the mentality of the Costco shopper. We know we need to have a firm objective or we’ll get lost in the hustle and bustle. This isn’t something to take personally. To quote the Madagascar penguins, just smile and wave. (You don’t really need to wave, though.) Just turn to the next passing person. Most customers will be very appreciative of the thing you’re giving them, and will be polite in their refusals, if they aren’t interested. I believe that in any book signing situation, there are three steps the author should take in feeling out the customer and introducing their product. It has a lot to do with feeling out the customer’s interest level and showing respect by not being pushy. If you offer your information in a non-pushy way, that customer is likely to remember you kindly, and they may purchase from you down the road, even if they don’t today. If you’re pushy and in their face, they will remember it, and they will tell their friends, and you’ll build a reputation opposite to what you want. The first step is what I think of as the introductory step. At Costco, I’ll greet people with an invitation to accept a recipe. As I hand over the recipe, I tell them there’s also a blurb on there about my new book. If they take the recipe and keep walking, I leave it at that. However, if they pause, we go into the second step. This is to give them my quickest pitch about the book. In the case of Dearly Departed, it’s: “My main characters are three little old ladies who infiltrate a nursing home to solve a murder.” If they are still engaged, I then say, “It’s a lighthearted mystery comedy, a ton of humor all the way through, without any language or graphic violence.” At this point, they generally either thank me and keep walking, or they start to ask me questions. Be respectful of your customer’s time and don’t try to make them listen to more than they want to hear, but be prepared to have long conversations as well. In each of these instances, step back and give them space. They’re dealing with something bigger than their decision whether or not to buy a book, and to intrude would be rude and thoughtless. My book is about an elderly Relief Society presidency, so generally speaking, the people who buy my books are middle-aged ladies. When I am approaching people, I tend to naturally gravitate toward those ladies in my marketing efforts, and find myself more rewarded. However, this is not to say that we should ignore everyone else—it’s just saying that we need to be aware of which demographics are more likely to buy. I had a great conversation with a guy studying film making at UVU with an emphasis on horror. That may be about as different from what I do as you can get (except erotica) but we had a great conversation. He didn’t buy a book, but he took my information, and I was able to share some things with him that he found helpful. I also sold a book each to two Goth girls wearing plastic bras. It surprised the daylights out of me that they were interested because I hadn’t pegged them as people who would want what I had to offer, but they came up to me and asked me to sign two copies. This shows the importance of smiling and greeting everyone who passes, even if you think they aren’t likely to purchase. During my two months at Costco, I had the opportunity to meet some amazing people. Several of them were aspiring authors who needed some guidance in how to take the next step. Some of them just needed someone to talk to at that moment, like the lady who was planning her husband’s funeral. To me, a successful signing isn’t measured by books sold. It’s measured by lives touched, both me being helpful to someone else, and the things I learn from the people I talk to. We’ve talked about standing up, but now I want to talk about sitting down. It’s important that you not push your body further than it can go. If you’re not used to standing on hard floors for long periods of time, work up to it gradually. Sit down during slow times. Stay hydrated. Make sure that you’re not hurting yourself. It’s wonderful to have this Costco opportunity—it’s something only a small percentage of authors get to do—but approach it wisely and make sure you’re not hurting yourself. Know your limits and honor them. You might find it helpful to bring someone along to help you, especially if you’re in one of the larger stores. I did several signings alone, and at other times brought my mom, my son, or my husband along, and in each case, found that having a helper was a good idea. They could hand out fliers to people while I talked to prospective customers. They held down the fort while I ran to the bathroom. They could refill my water bottle. Having a helper there can increase your productivity. It’s something for you to feel out for yourself, but I found it to be a good thing. And when it came to my son, it seems no one could resist his cute little face. Nearly every person he approached took a flier. Have fun! You’re there to celebrate this awesome accomplishment—you are a published author and you have landed a spot in one of the most coveted sales venues in the nation. Enjoy it. Enjoy the people. Enjoy the chance to share what you love to do. If you find that nothing else I’ve said strikes a chord with you, I hope this does—leave the stress behind and just appreciate the moment. Your talents are being given a showcase. Your name recognition is about to skyrocket. Your opportunity for future sales is going to increase exponentially. You are planting seeds for a bounteous harvest later on. The expression “joy in the journey” is completely applicable here—even if you have a slow day, you are paving a path for your future as your information gets into people’s hands. I did a signing at Swiss Days in Midway and was told over and over, “I saw your book in Costco.” You become recognized, and in this industry, that’s a good thing. My book is no longer being carried in Costco—you need to hit a certain sales bracket in order to remain in the store over an extended period of time, and because my book is a little more specialized, that didn’t happen. But I know my experiences there are going to help me in a ton of other ways, and I’m so happy for the chance I had to be a Costco author. 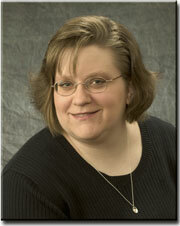 Tristi Pinkston is the author of eight published books, including the Secret Sisters mystery series. In addition to being a prolific author, Tristi also provides a variety of author services, including editing, coordinating blog tours, and online writing instruction. You can visit her at www.tristipinkston.blogspot.com or her website at www.tristipinkston.com. Great advice from start to finish, Tristi! I was lucky enough to do my first book signing across the aisle from you at The Book Table in Logan this summer, and I've used what I learned from you in the dozen signings I've done since then. One thing I hadn't thought about was a good breakfast. Seems simple, but I don't think I've done it before most of my signings. And being nice is great advice as well. There's no way to track "After the signing sales" that result from your effort, but I've gotten more than a few emails/reviews from people who didn't buy the book RIGHT THEN. Great advice for any signing. Thanks for sharing. I loved this post! Wonderful advice, thank you! This is a great post, I hope all authors read it. 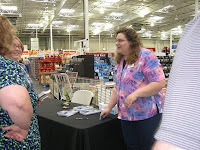 I don't want to sound impolite, but every time I've tried to engage in a conversation with a Costco author at a signing they've been standoffish and sometimes rude. As a wannabe author myself I always go and congratulate them on their publishing deal, and ask who they published with and what future books will be. Questions an author wants to hear, right? Well…not all the time. I've been glared at, had books shoved at me without my questions being answered, and even flat-out ignored. I used to make it a point to talk to every Costco signer I could (sometimes they just seem so bored), but now it's become harder. The saddest part is that I don't usually buy paper books (I went the Kindle route) but I will ALWAYS buy books from authors at signings if I like them. I have yet to buy a book from Costco. As an aside, I remember my sister-in-law had a friend who locally published a cookbook that went big. She would constantly complain about how her publisher "made her go to stupid signings," because she thought the publisher should be promoting it. It's really unfortunate. Signings are what I look forward to most as a (potential) author. It's kind of like a mission…you get rejected a lot, but you put on a good face for your organization (book) and every convert (sale) is just a treat. Thanks for the insights, Tristi. I loved this guest-blog! Great advice. I echo a previous comment in hopes that all Costco authors read this. I'm sorry about the negative experiences you've had as readers with authors at Costco … it just goes to show that your attitude can make or break you, and if you go out there with crankiness written all over you, you're not going to be successful by any definition of the word.